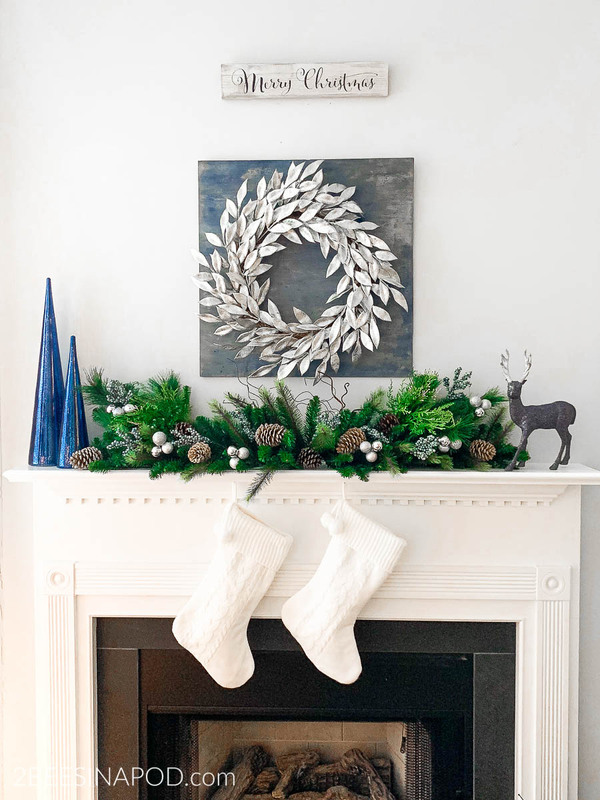 Blue and silver Christmas mantel decor. 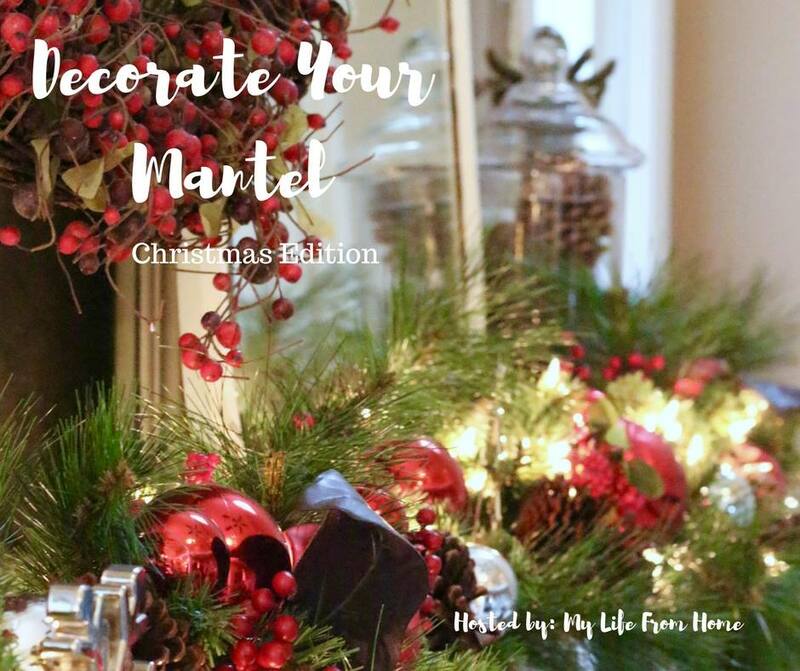 Today my blogging besties and I are sharing our decorated Christmas mantels. 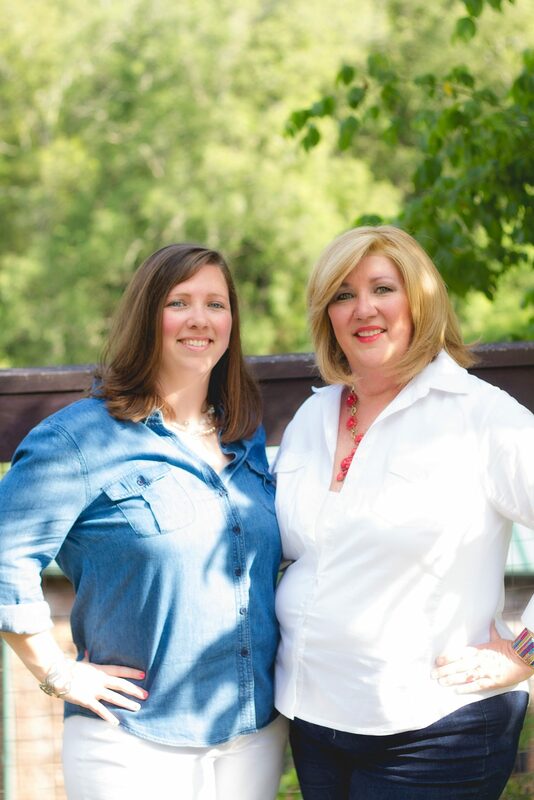 We appreciate our friend Amy of My Life from Home for hosting this great blog hop. This year I have changed things up a bit in my living room. 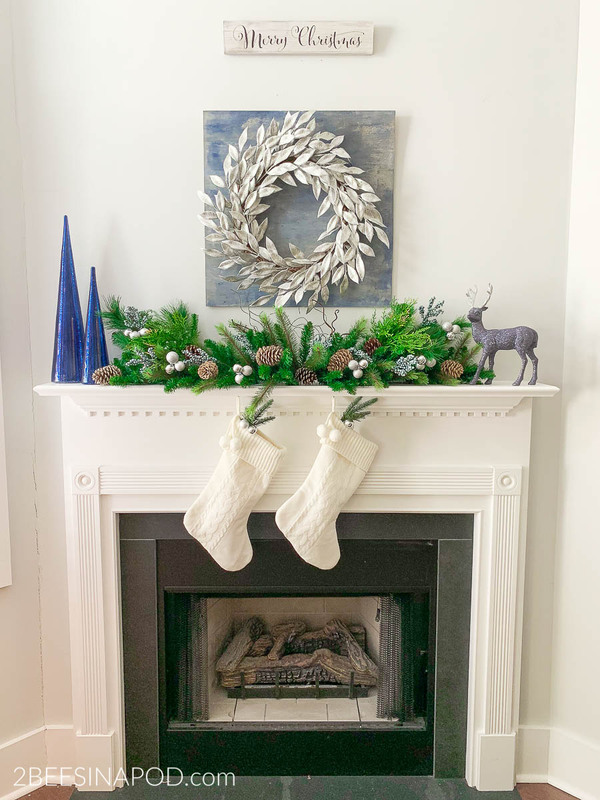 Please take a look at my blue and silver Christmas mantel decor. 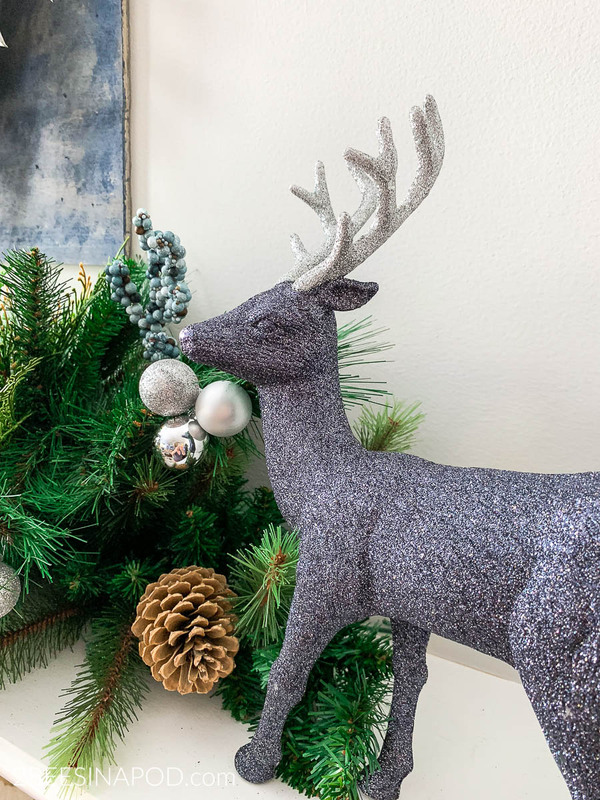 When I began thinking of my Christmas mantel decor I knew I wanted color. As you may know blue is my favorite choice. Plus my living room is already blue and white. 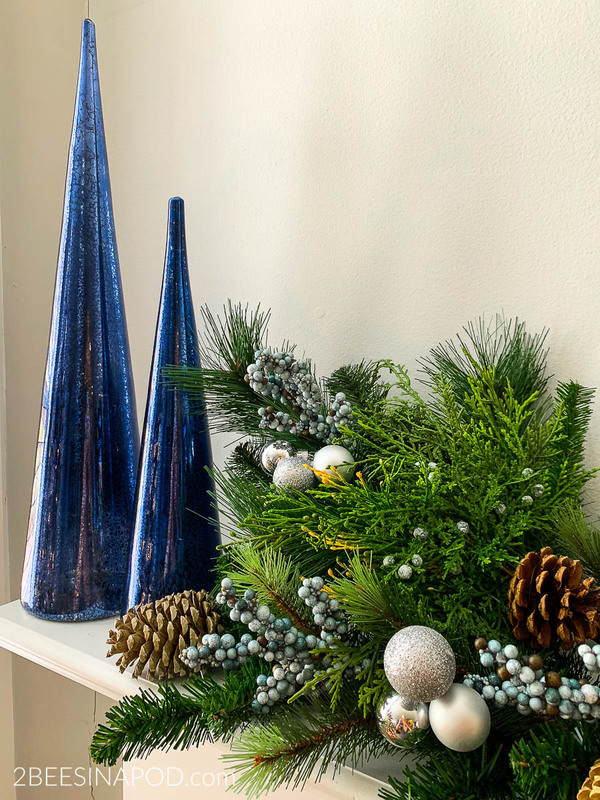 When I found these glass blue cone trees discounted at the craft store, I knew that they were perfect. Everything else fell into place from there. 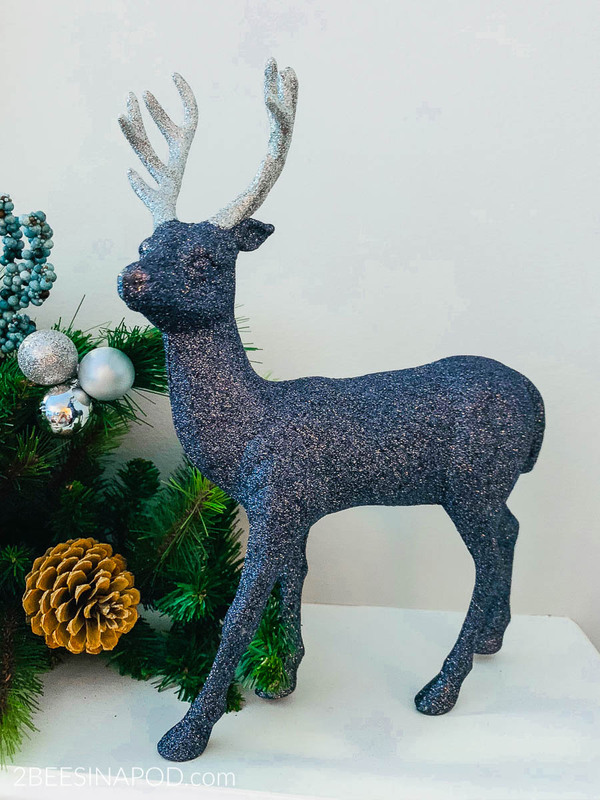 This midnight blue glitter deer made an appearance on my Sparkle and Shine mantel last year. The mantel greenery is a new addition. 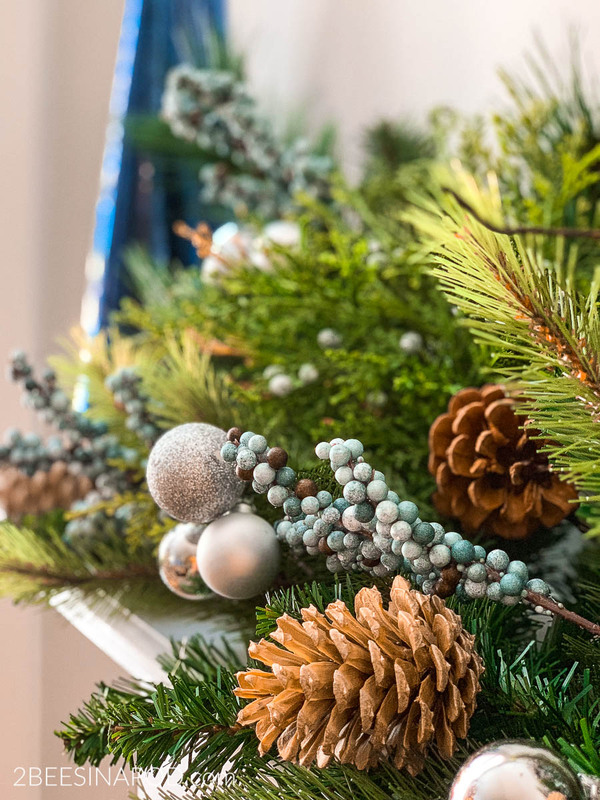 I was inspired after attending a Christmas decor class hosted by a landscape designer. She taught the attendees how to turn an evergreen mailbox wrap into a centerpiece. 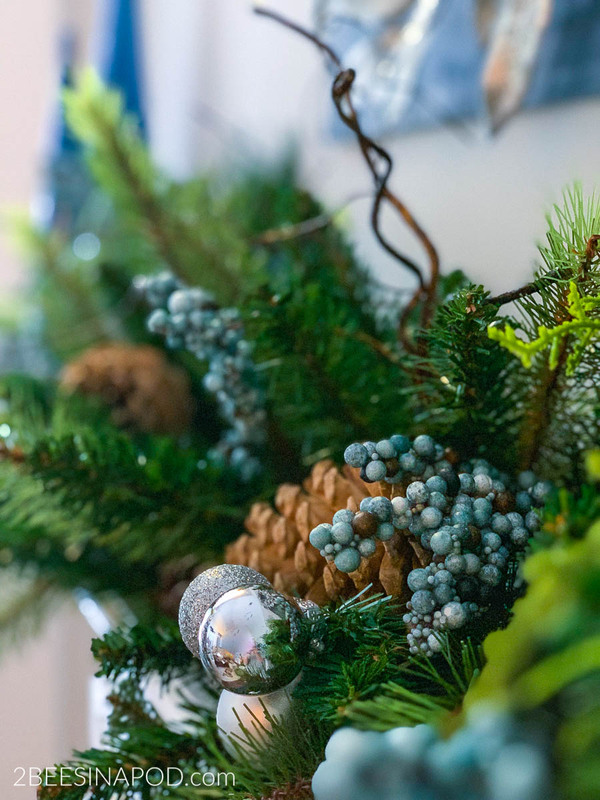 I added miniature silver Christmas ornaments, blue berries, extra picks and some of the bleached pinecones that I made last year. A few curly branches were added as well. 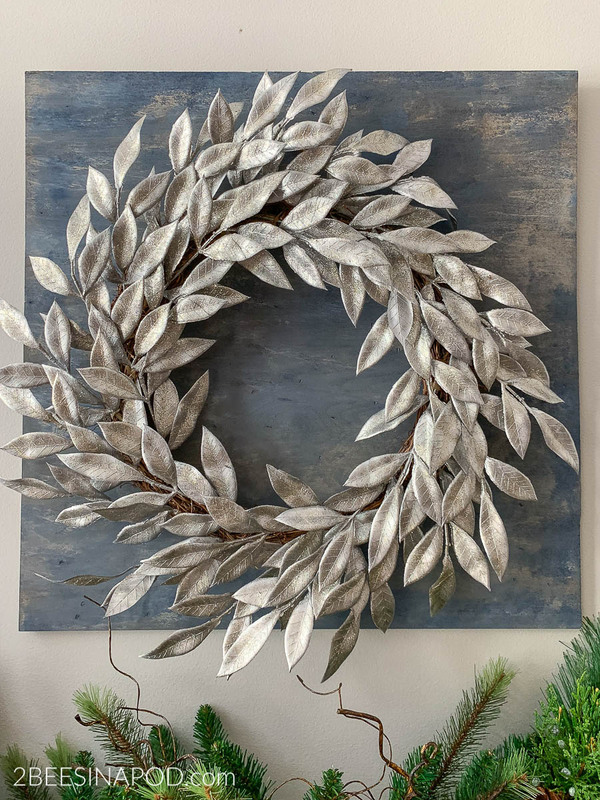 The silver leaf wreath looked very plain on the wall by itself. 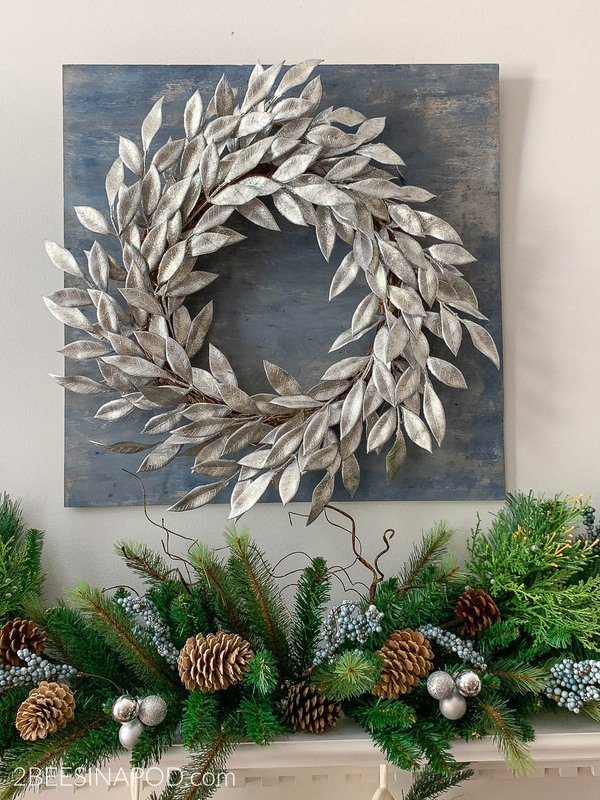 I painted a scrap board with watered down blue paint.It made such a difference when I placed it behind the wreath. For a crowning touch I added a pretty “Merry Christmas” sign. 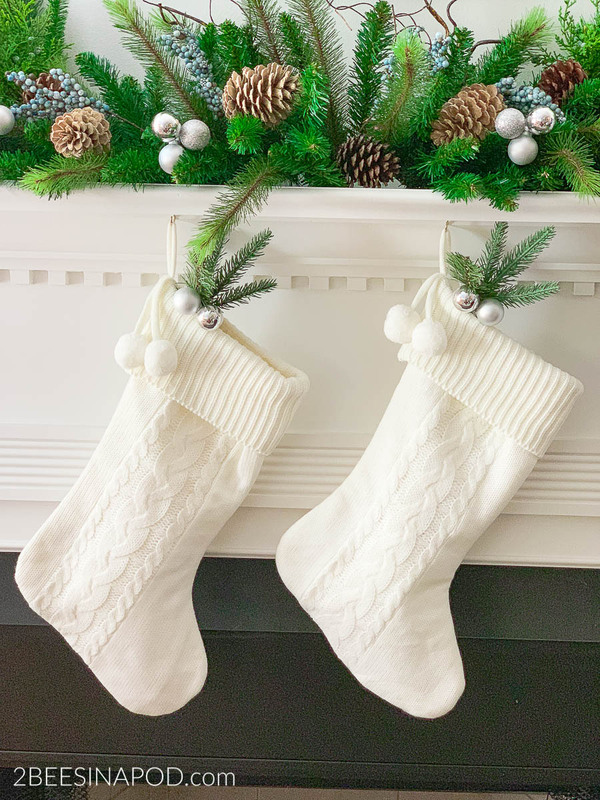 To insure that Santa has a place to leave us some treats, we hung our stockings with care under the mantel shelf. Needless to say we love that our weather has been cool enough for us to light the fireplace. 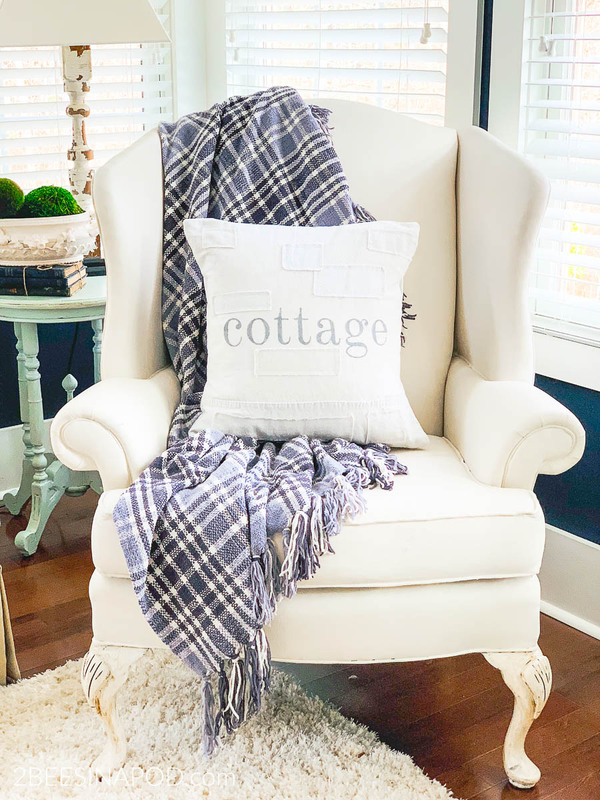 It makes our home so cozy. 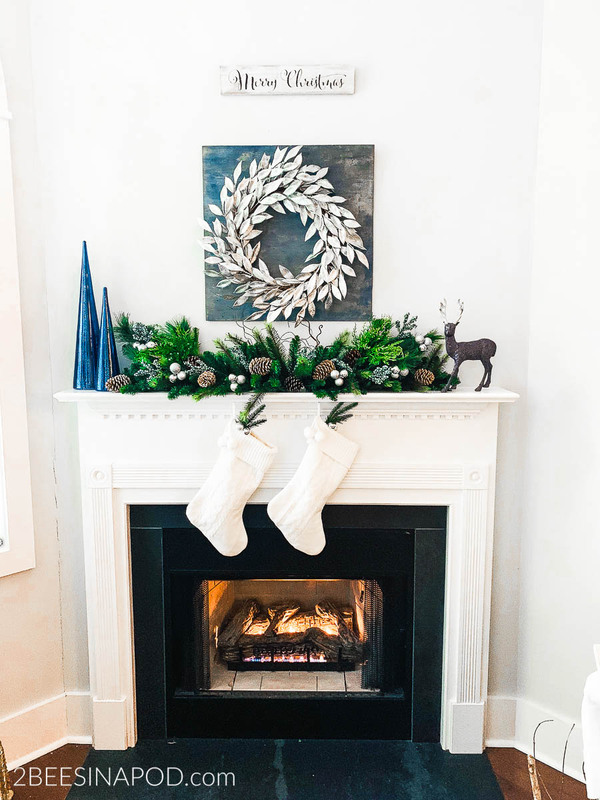 I am so happy that I chose blue and silver as my Christmas mantel decor. 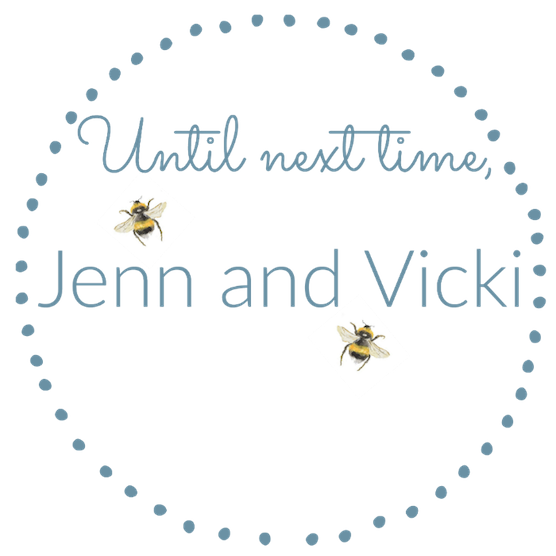 Please be sure to visit my friends posts below for more inspiration! It’s gorgeous! I absolutely love your greenery. It’s so full and realistic looking. Blue and silver is such a beautiful combo for Christmas! 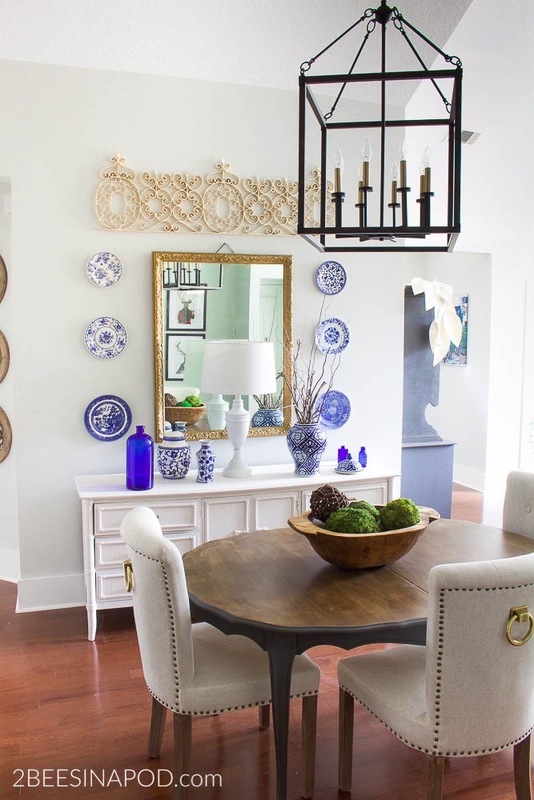 Love your style and this mantel! 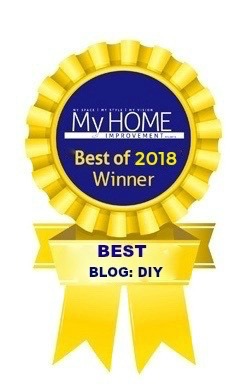 You girls did it again! This is such a beautiful mantel. Love everything about it, but that painted board behind the wreath was genius. This is stunning! I am in awe of the beautiful garland you made! 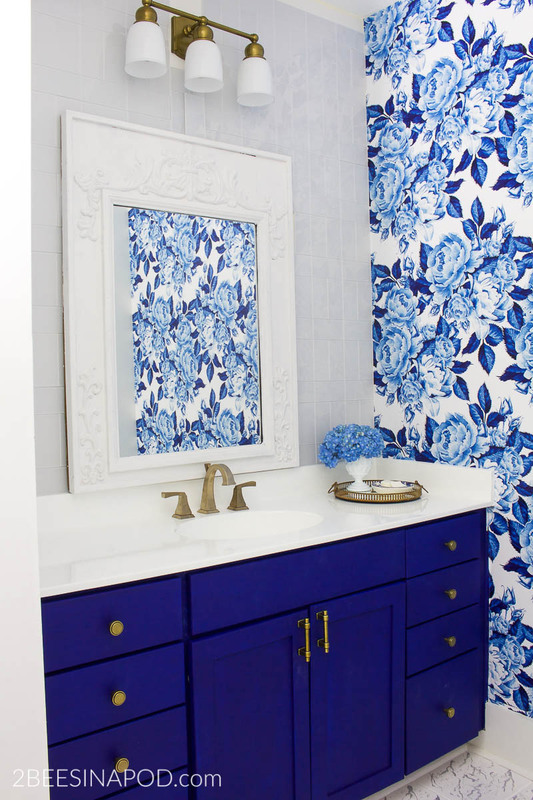 All of your blue and silver details work so, so perfectly together.